Lean manufacturing is built on process reliability, and that depends on equipment reliability. Total productive maintenance (TPM) enables equipment and process reliability, but it’s a discipline that’s often sidelined in lean transformations. 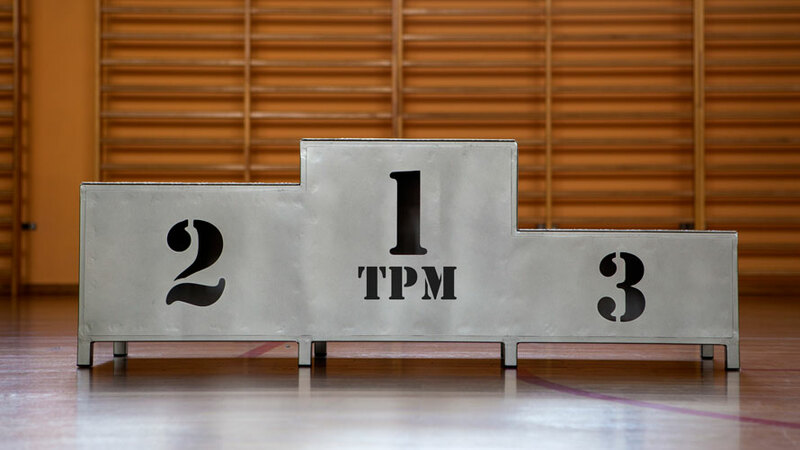 For perspectives on what TPM brings to the table, this month we interviewed TPM leaders at companies like Nike IHM, Whirlpool, and Cummins and brought together their insights into how TPM fits with lean transformation; how top leaders can support TPM; and what challenges these TPM champions face. Nike IHM Maintenance Manager David Surgeon, agreed: “The objective is to run our equipment whenever we need to, just like when you go to start your car. You want to know it’s going to start every time you want it to. Beyond that, when we buy equipment we want it to last well beyond its depreciation, which ties directly into lean manufacturing.” Nike IHM is a wholly owned subsidiary of Nike Inc. that makes plastics for Nike and other customers. TPM is a jumping-off point for lean in some companies. Jim Dray, Senior TPM Engineer at Whirlpool’s Findlay division said that Findlay started TPM in the mid-late 1990s. Companies usually begin to address TPM seriously, though, only when they’re well into a lean transformation. According to Cesar Gamez, Cummins’ Maintenance FE Leader, “We implemented lean manufacturing a long time ago at Cummins. Given that TPM can play such an important role, why is it often put off until later in lean journeys? Nike’s Vu has seen this a lot. “Before I came back to the U.S., I was a manufacturing manager in China for Nike, a lean sensei and senior lean consultant for Nike Vietnam, and worked with over 40 factories all over Asia. Not surprisingly, everyone we spoke with agreed that commitment from the top is crucial to success. Cesar Gamez explained how it works at Cummins: “We have been deploying TPM from top to bottom, starting with our Manufacturing Leadership Council, which includes manufacturing leaders across all Cummins plants. When management is committed, how can they demonstrate that and support the rest of the organization? Chris Abrey shared two important ways managers can support TPM: “One way is to participate in activities. When managers, especially senior managers, get involved in TPM kaizen activities, you get more leverage with rest of the employees. I know it’s sometimes difficult to get their commitment for an entire event, but that’s one of the first things I try and do. These TPM leaders talked about some of their present challenges, as well as ones they’ve encountered in the past. Jim Dray at Whirlpool discussed the challenge of multiple and competing goals. “We always have cost objectives, quality objectives, safety objectives, which all pull different ways, and we’re trying to keep all the balls up in the air. You can’t forget about reliability, but you have only so many resources, and so we deal with the challenges of where to put our folks. As a business, you may take your eye off reliability sometimes, but when you have such low inventories you can’t look away for very long.” He advises designating critical processes and the most important pieces of equipment on which to maintain consistent focus, for example, assembly lines and your “monuments”— processes that have to run. Q. We are thinking about starting a full-fledged TPM initiative in our facility. How can we get started understanding the big picture of what needs to be done? A. This is a question we’ve fielded many time during the past 30 years or more. In answer, we’ve developed a simple but thorough set of questions you can use to help get your TPM initiative off on the right foot. To download, follow the link to our Ten Framing Questions for TPM Implementation. The questions companies bring to us today generally converge on one primary theme—culture change. Did you know that October celebrations include not only Columbus Day and Halloween, but also World Standards Day?